DivX Players such as Archos, iRiver PMP and Creative Zen Vision play videos in DivX or XviD format, with Xilisoft DVD to DivX Converter, you can now play Home DVD movies in your DivX player! Support for NVIDIA CUDA & AMD APP technology which can deliver huge gains when converting home DVDs and up to 5X faster performance in processing. Options such as set target subtitle/audio, clip video segment, specify output size, and get Home DVD info are available for a more personal file output. 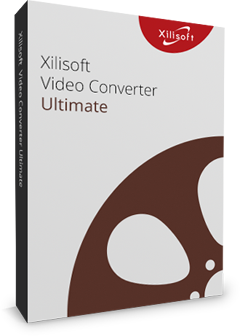 Install the software now and start converting your home DVDs so you can play them on DivX/XviD players! 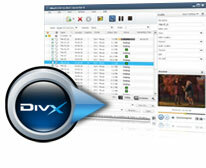 Convert DVD movies and videos to DivX or XviD formats. Play them on compatible video players such as Archos , Archos AV500, Archos AV700, Archos GMini402, iRiver PMP-100, and Creative Zen Vision. Enrich your movie library by retrieving information on the internet, get info such as artists' name, director, release date, album cover and others. Before converting and converting , select audio track, angle and subtitle to attach. For further audio and video properties, manually set and change file parameters according to your preferences. You can choose a certain clip to Convert by setting the start and end time. Convert DVD and then convert to several files with different formats simultaneously. Save time while converting in batches. Split a large file (audio or video) into smaller parts by setting a fixed split time or split size. Know your output file size even before converting with the built-in bit rate calculator. Preview your original video on the built-in resizable video player. Take a still shot of the movie and save as picture file (JPEG, PNG, BMP or GIF). 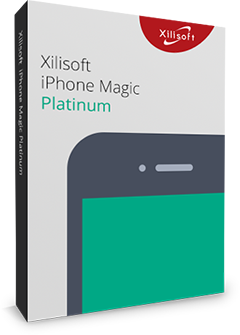 Load multiple files in different formats and convert in batches simultaneously. Set an action: hibernate, standby, shut down or exit to automatically perform after a conversion is done to avoid waiting and wasting time. Power management is available in this DVD to DivX converter.